We have a lot to learn from the Marawi siege which by the way, may not be over yet according to young filmmakers Sitti Alyssah Diron and Geral Jan Nino Omelio. 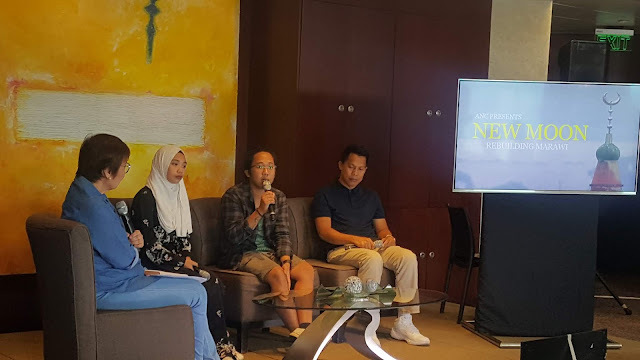 I've joined fellow bloggers covering the press conference of ANC's feature "New Moon: Rebuilding Marawi" yesterday at ABS-CBN. Hosted by veteran award-winning host Ms. Tina Monzon Palma, the young students Sitti and Geral narrated their own experiences. There were stories that daunted the others to document and create their own film about the siege but Sitti and Geral admitted going beyond what was on the original plan. The scenes reenacting the moments sometimes became too difficult because of actual IED(explosive devices) and it was terrifying. When asked how they see Marawi in ten years, they still believe it will continue to rebuild. 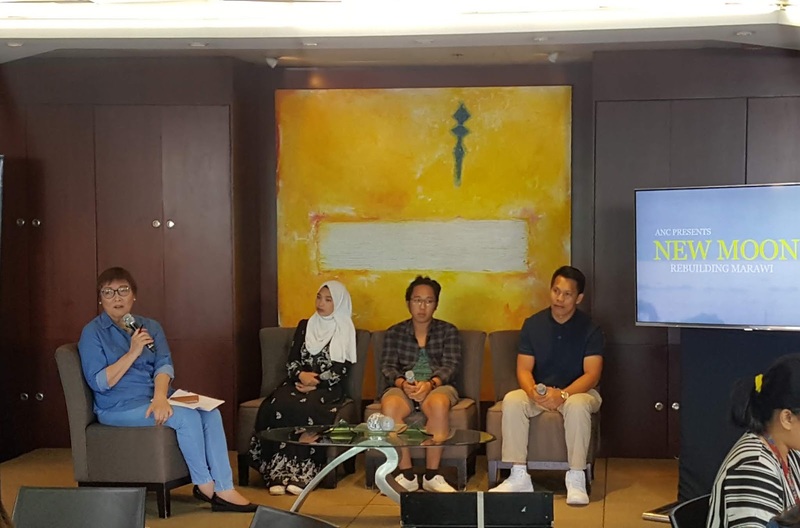 Featured films include Matou- based on the story of Mastora "Matou" Dadayan, a farmer and fisherman living in a small barangay in Marawi City. During the siege, Matou's wife and unborn child passed awat leaving him alone to take care of their elder son;"Kanlungan" by Geral and fellow students tells the story of teenager Zohmaya and her happier siblings; "Suicide Squad" by Omar tells the story of a group of rescuers and Ali's "Islam" shedding light on Muslim ideologies. 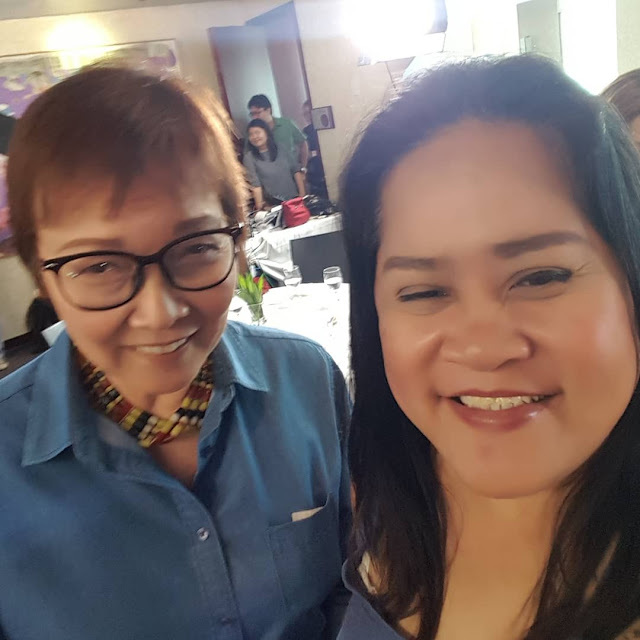 Ms. Tina Monzon Palma will be hosting ANC's New Moon: Rebuilding Marawi airing May21 in between news programs at ANC. Jeff Canoy shared his own experience to us hoping that efforts to rebuild will continue. Don't miss ANC presents New Moon on ANC and ANC HD on Monday May22 during "Early Edition", "Top Story" and "The World Tonight" . Watch them online via iwantv.com.ph or skyondemand.com.ph. For more news, follow @ANCalerts or visit news.abs-cbn.com/anc.